I originally got this recipe in the local newspaper about 10 years ago, and over the years I’ve tweaked it. This takes 15 minutes to make, and it’s only six ingredients! Package it in a nice tin or holiday GladWare container and give it to neighbors for a token homemade Christmas present. It’s always appreciated and looked forward to by our friends. You will have to play around with the recipe because every microwave oven is different. Even an extra 30 seconds can make this go from amazing to awful. If it’s undercooked it will be chewy like caramel (still yummy) and if it’s cooked too long the cashews will be brown and it will almost taste burned. In a 2 qt. microwave-safe bowl with handle, stir together the nuts, sugar and corn syrup. Meanwhile, grease a Silpat Baking Mat (on a cookie sheet) with butter. Prepare vanilla, butter, and baking soda measurements into small bowls, as you will need to work quickly with the hot candy. Using oven mitts, remove the bowl from the microwave oven. It will be VERY HOT, so be sure you don’t let it touch your skin. Stir in the butter and vanilla. I use two rubber spatulas, one to stir, and one to clean off the spatula back into the bowl. Continue to microwave the candy, at high, for 90 seconds (the original recipe said 1 1/2 – 2 minutes but 1 1/2 is perfect in our microwave.) The mixture should be caramel-colored. Get your cookie sheet ready in the meantime. Cool for 30 minutes and then break into small pieces. I usually put a plastic sandwich baggie on my hands to break the candy. This is so delish! 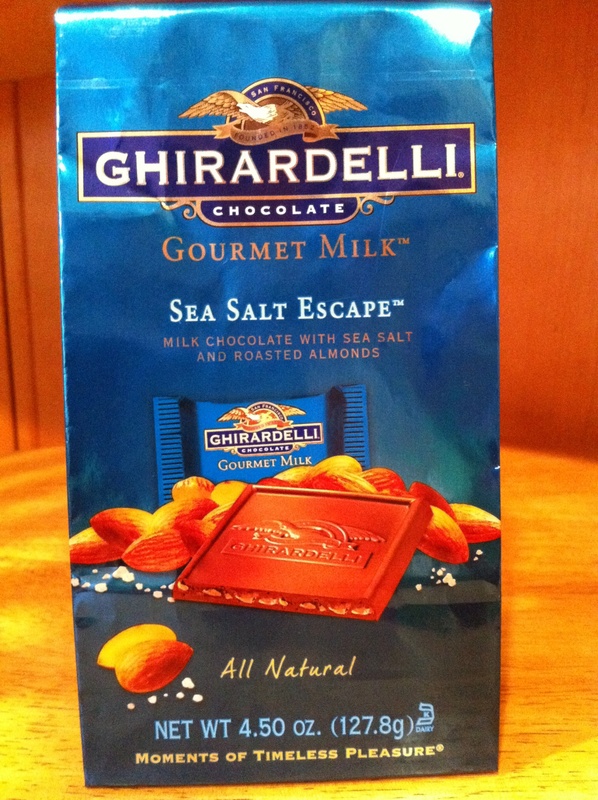 It’s that mix of sweet and salty which is now so popular with the sea salt & caramel. THIS LAST PHOTO IS WHAT IT SHOULD NOT LOOK LIKE. This batch was cooked 30 seconds too long and the cashews are too brown.